Home › Knowledge › Science › What is transpiration? 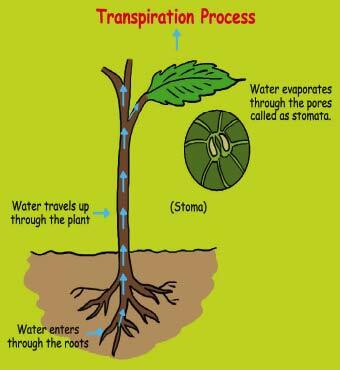 Transpiration is the evaporation of water from a plant. It is actually the passage of water through tissues of a plant into the atmosphere. 1. Place the plastic bag over a few leaves and tie it at the bottom with a string. 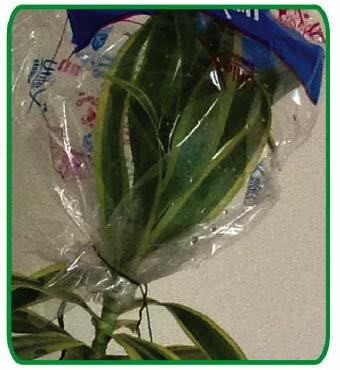 Now with the plastic bag over the leaves, place the plant in sunlight for two to three hours. 2. Do you see droplets of water collect on the inside of the plastic bag? Plants absorb water from the soil through their roots. This water then moves up the stem to the leaves. Almost 90 percent of the water is lost through the pores of the leaves also known as stomata. This process is called transpiration. Transpiration adds a lot of water to our air; it also helps the plants to cool down.